Training • Tactics used to halt the gunman are taught around country. 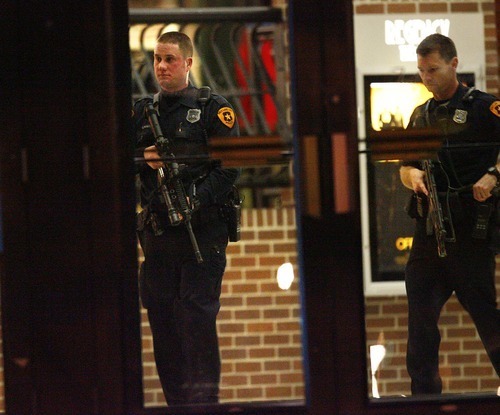 Brett Olsen Ryan Galbraith | Tribune file photo Police and emergency vehicles rush to the scene of the shooting at Trolley Square on Feb. 12, 2007. 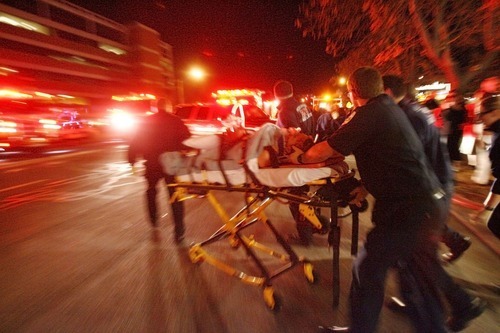 Danny Chan La | Tribune file photo A victim of the shootings at Trolley Square is moved to an ambulance Feb. 12, 2007. Danny Chan La | Tribune file photo Tactics used by law enforcement officers responding to the February 2007 Trolley Square shootings have been used to create training materials for sale to police and sheriff's departments by a St. Louis company. 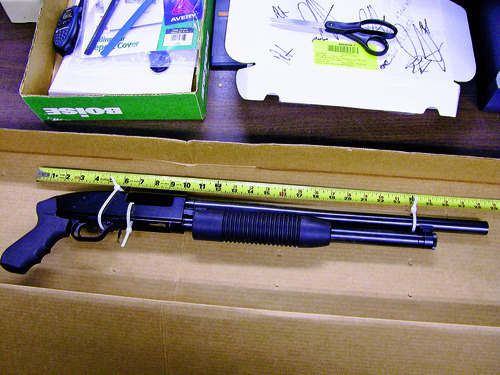 Ken Hammond Ken Hammond Photo courtesy Salt Lake City Police Department This shotgun was used by Sulejmen Talovic during his attack at Trolley Square in 2007. When it's time for cadets attending the Utah police academy to learn how to intercept a gunman firing bullets in a crowded building, instructors don't look far for a teaching tool. The 2007 shootings at Trolley Square have become part of the academy curriculum. "With a local example, [cadets are] thinking, 'Man, this can happen to me,' and they're really into it," said Lt. Wade Breur, who oversees basic training at the academy in Sandy. 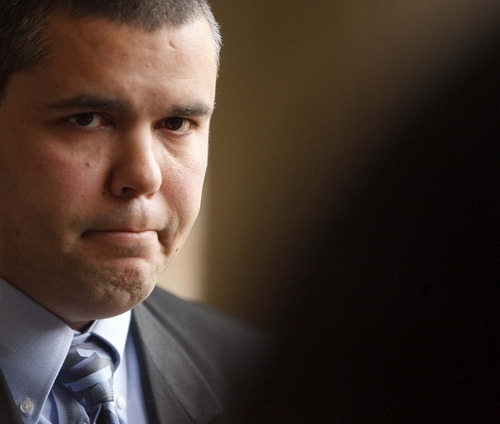 The way Salt Lake City officers and one off-duty Ogden officer responded as Sulejman Talovic shot shoppers and patrons has been considered such a good example of intercepting what police call an "active shooter" that it's been taught across the country. A St. Louis company called In the Line of Duty made the events at Trolley Square into a training module for sale to police and sheriff's departments. The training materials include a video and manual. "Other than Columbine, this is really the only incident of such magnitude that has ever been put together in a training product dealing with rapid response to the active shooter," said Ron Barber, president of In the Line of Duty. Salt Lake City police have provided training, too. 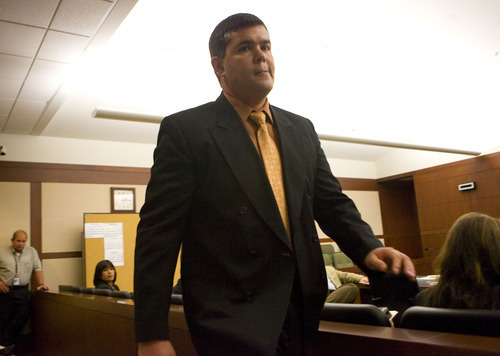 Brett Olsen, the gang detective and SWAT officer who was among the three officers who shot and killed Talovic, gave a seminar at last year's Utah gang conference. Olsen, who has taught similar seminars in other states, said he even produced multimedia presentations of varying lengths  with or without gruesome crime scene photos  depending on his audience. 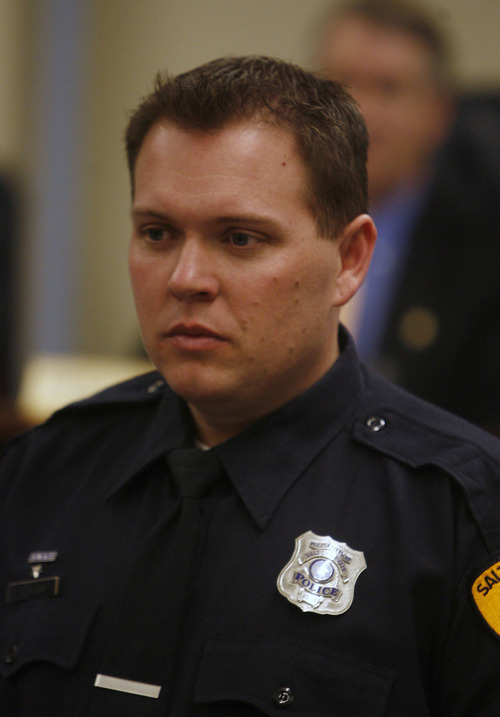 Salt Lake City police Sgt. Lance VanDongen was another SWAT officer who responded to Trolley Square on Feb. 12, 2007, and who has given training on what happened that night. VanDongen said the five officers who slowed, and then stopped, Talovic "legitimized" existing tactics. Although Talovic killed five people and wounded four, VanDongen said the police response is considered a success because Talovic didn't hurt or kill anyone else once police arrived. "It's almost like Sulejman Talovic was playing the role of the bad guy in one of our scenarios," VanDongen said. So what are the lessons from the Trolley Square shootings? For starters, Salt Lake City police and Ken Hammond, the Ogden officer who first engaged 18-year-old Talovic, were well-trained for such an event, Barber said. The shootings at Columbine High School provided lessons for police everywhere, Barber said, but Salt Lake City police also gained experience from the 1999 shooting at the Triad Center and from preparing for the 2002 Olympics. The officers all knew to pursue Talovic immediately rather than wait for backup. "Superb plan of action was the key factor in dealing with this incident a lot faster and more efficiently than a lot of law-enforcement agencies would have been able to do," Barber said. As Hammond, who was in plain clothes after an early Valentine's Day dinner with his wife, was shooting at Talovic, Salt Lake City Sgt. Andy Oblad entered the mall. It could have been a disaster if Oblad had mistaken Hammond for the gunman. Olsen, in his presentation, said off-duty officers need to consider carrying a badge they can display in emergencies. But Oblad was calm and realized Hammond was a cop. They pursued Talovic together. Breur said it's a good example of officers from different agencies being aware of each other and working together. Barber said Hammond and Oblad saved lives by distracting Talovic until the SWAT team positioned. SWAT officers, including Olsen, Josh Scharman and Dustin Marshall, arrived at the mall at the same time. They entered together through what was then a Pottery Barn store. In his presentation last year, Olsen said a small team like that is trained to move in a sort of "V" formation with each member looking in a different direction, but so much furniture was obstructing the aisles of Pottery Barn that the team was forced out of its formation. Scharman was in the lead and rounded a corner first. He saw Talovic standing in the interior entrance to the store firing a shotgun at Hammond and Oblad on the concourse. Scharman fired his M5 rifle, and Olsen and Marshall fired their rifles as they rounded the corner. Talovic was pronounced dead at the scene. VanDongen and other SWAT officers entered Trolley Square through an east entrance and found five victims in the card shop Cabin Fever. VanDongen said Carolyn Tuft, who was wounded beside her dead 15-year-old daughter, Kristen Hinckley, grabbed his leg and asked for help. But there were reports of a second shooter in the mall, and their training calls for the officers to search for him rather than stopping to help victims. The thinking is, VanDongen said, that the best way to help victims is to stop their creation. "It was the hardest thing I've ever done," VanDongen said. "The humanity in me wanted me to stop right there and grab her and lay right there with her." Barber said the stress and emotions for police officers after the Trolley Square shootings also are discussed in his company's training course. VanDongen said when he teaches other officers about Trolley Square, he sticks to tactics used. "If I had to talk about the victims or Cabin Fever, I wouldn't want to do that," he said.